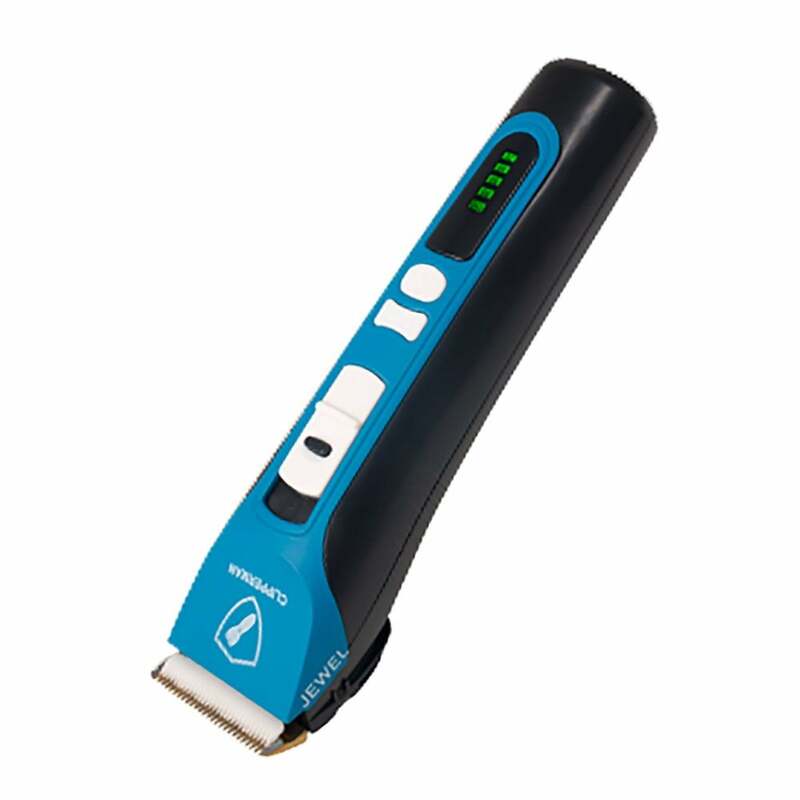 The Clipperman Jewel Trimmer has a built-in rechargeable Li-Ion battery which offers up to 5 hours run time on a 3-5 hour charge. The digital display enables you to know exactly how much power you have left and how much longer you need to charge for. The 3.7V dual speed battery powered trimmer which is comparable to a 12W mains power offering up to 3350 RPM by using the pro button. The F5 snap on blade connection with detachable 2-in-1 ceramic cutter and titanium coated comb offering four cut lengths of 1mm; 1.3mm; 1.6mm and 1.9mm with plastic graders offering 3mm; 6mm; 9mm and 12mm cut lengths. Lightweight at only 0.2Kg the Clipperman Jewel Trimmer is ideal for trimming legs, faces and for general tidying of fine to normal horse coats. It is also suitable for dog coat which require a #10 or #15 blade.